4 Schools You Might Not Know That Match The Segal AmeriCorps Education Award! The Segal AmeriCorps Education Award is a big incentive for many who serve in AmeriCorps. A growing number of Alums are becoming more strategic about how they use that Ed Award, specifically using it at a school that offers a match to the Education Award. Many of those schools offer public affairs degree, which can be a natural fit for an AmeriCorps member looking to pivot from service to academia. However, an increasing number of non-public affairs schools are actively recruiting AmeriCorps Alums, including in the areas of law, business administration, information management, and education. Recently, AmeriCorps Alums conducted its first ever Virtual Grad School Fair, which included a diverse array of degree types and fields of study. Four of those schools are featured below. Willamette University MBA offers an AmeriCorps Matching Grant to qualified AmeriCorps alumni in recognition of academic potential, involvement in community activities, and leadership. This award matches the funding the student receives from AmeriCorps for up to one year of service. The award is renewable for the second year of MBA study. 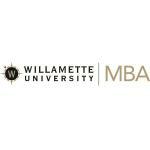 The student must be admitted to Willamette’s Early Career and Career Change MBA program and be attending full-time. In addition, applicants will be considered for merit-based scholarship awards up to 100% of tuition, depending on the strength of the application. The application fee is waived for all AmeriCorps alumni. All AmeriCorps Alums applying to the University of Michigan School of Information (UMSI) program are eligible for an application fee waiver. Additionally, UMSI matches funding up to $10,000 and AmeriCorps alumni have historically been very competitive for its half-tuition merit scholarships. The McGeorge School of Law will provide a 100% match to the education award. Pacific McGeorge faculty, staff and students serve communities around the world through a variety of channels, including the activities of its Institute for Administrative Justice, service at seven on-campus community legal clinics, an Education Pipeline Initiative to mentor underserved school children, and a host of foreign education and teaching projects, such as USAID Program to enhance the Rule of Law in China. 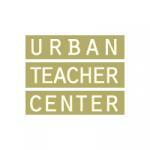 Urban Teacher Center (UTC) is a four-year, alternative teacher preparation program that operates in Washington, DC and Baltimore, MD (additional cities coming over next few years). Each cohort participates in an intensive year-long residency, followed by a three-year teaching commitment in a high-need urban elementary, middle or high school. UTC provides a full scholarship for its dual master’s program that covers cost of tuition, 20 one-on-one coaching session over three years, all of your books and materials and health care for the first year. AmeriCorps Alums can use their Segal Award towards the cost of living expenses for the UTC program before you get a full teacher’s salary starting in year 2 of the program (i.e. housing and food). ← Need $20,000 for Grad School? Columbia University MPA-ESP Program Can Help!